Celebrating Spring in the garden the perfect way – by starting seeds with my little helper. Each year I am anxious to start seeds. It is even more rewarding to start seeds with a little helper. In this post I share Spring Pea Seed Planting with My Little Helper. I can remember as a kid I saw a show that the child star hated peas. Each time they would have to take a bite the kids would refuse. This gave me a negative impression of peas. How could this be… I love peas. It wasn’t until I had my own kids I realized there was so much more to enjoy about this sometimes called …botanical fruit. The best reason to grow peas is they are super easy and it is hard to not get something from the seed to grow. The taste of the leaf and the fruit itself is amazing during the cool season. My kids never had a problem with eating peas right off the plant even though I have many tasty recipes using peas. 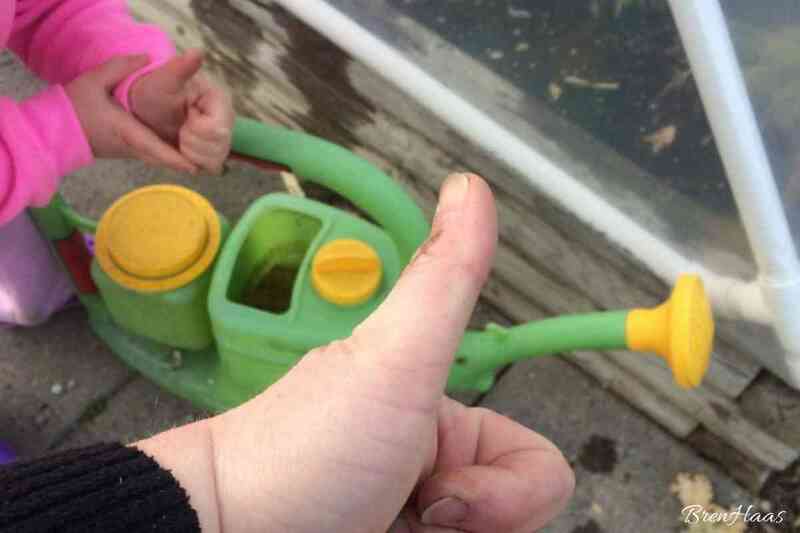 I was excited to share with my Niece ( aka – little helper) the same excitement of growing peas. In fact, she loved starting her own seeds she taught her Mom how to grow them which I share later in this post. 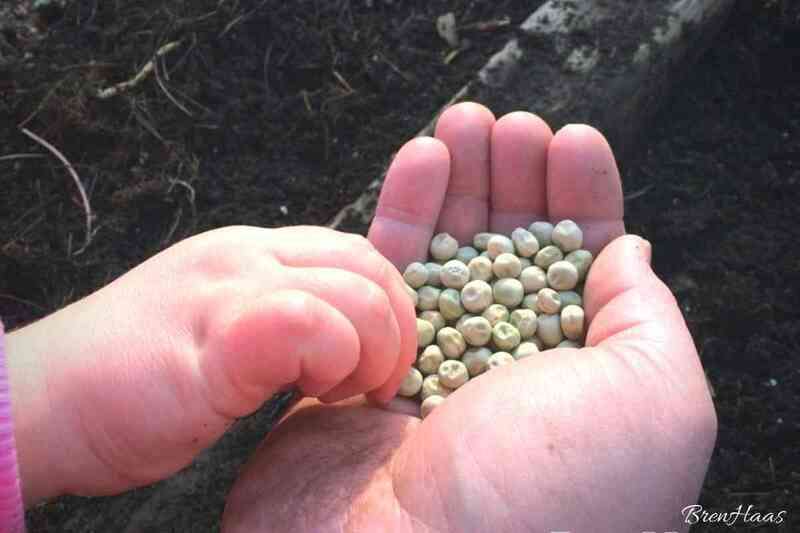 A fun thing about starting pea seeds with children is they are easy to identify and handle. It was on the only seeds that look like the harvest. Peas are one of those plants that you can enjoy before the harvest not only because it is a cool vine-like plant but because you can eat the leaves. Below are a few tips I want to share with you about starting the seeds outside in the soil where you will grow the plant into harvest. Read the package and be sure you know your hardiness zone. 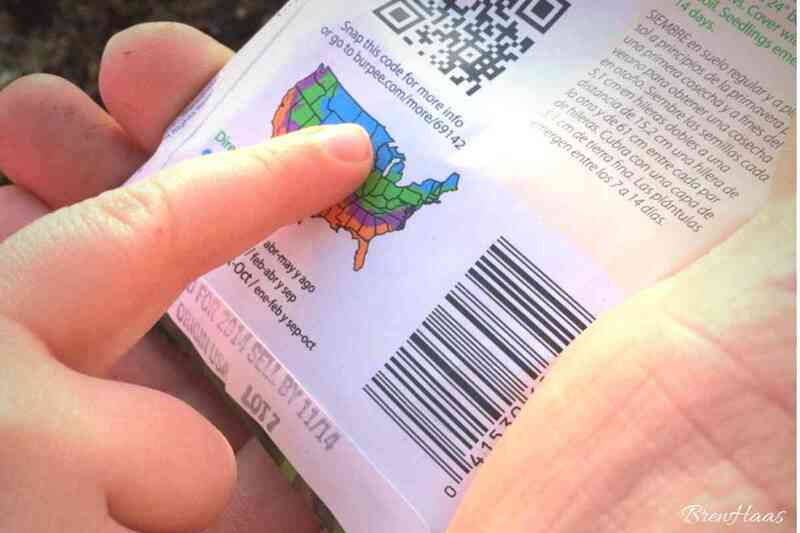 Most seed packages have a map on the back to show you or you can look up your hardiness zone on the USDA website. The little pea plants are pretty hardy but if you don’t follow the map and get a hard frost it can totally zap and maybe even kill your plant. Before we started planting we examined the hardiness map. It was so darn cute to hear her Little voice say hardiness. She was curious about what the orange color was on the map. It’s kinda neat how a three-year-old thinks! The raised bed that is low to the ground and somewhat shallow so children can easily reach it. Leave room for a 2-3 foot trellis. The pea plants need a trellis to climb. large container – with a few bamboo poles used to make the trellis. Smart Pot so you can easily move the plant onto the porch in case you get a hard frost. 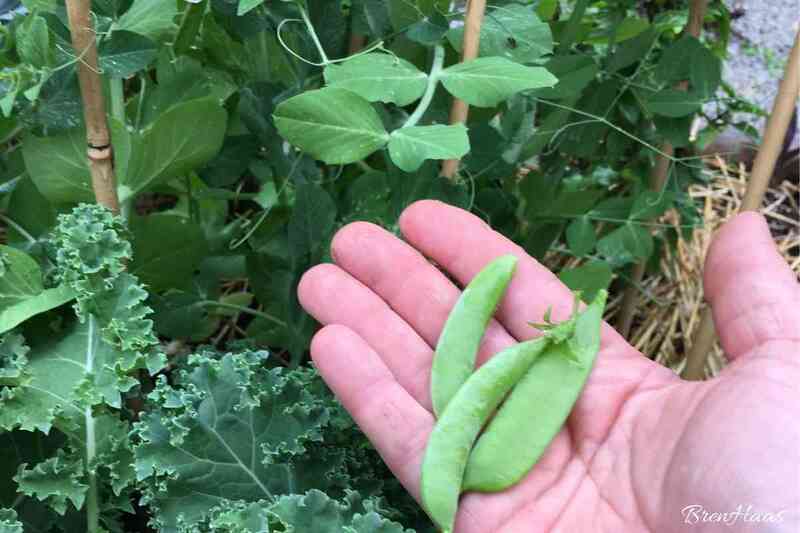 The peas grow fairly fast once the soil is warm so be ready to harvest as soon as the pea pods arrive. The more you pick (which usually isn’t a problem with children involved) the more the plant will keep producing until the temperatures start to rise above 75*F.
Another fun project is starting the peas indoors even though HIGHLY RECOMMEND starting the pea plants outdoors. It is totally ok if you start the seeds too early because seeds are cheap and so much fun to learn from! This project was fun because Little Helper took the plants home and showed her Mom how to grow them. This video and other creative living ideas can be found on my YouTube Channel at Bren Haas. 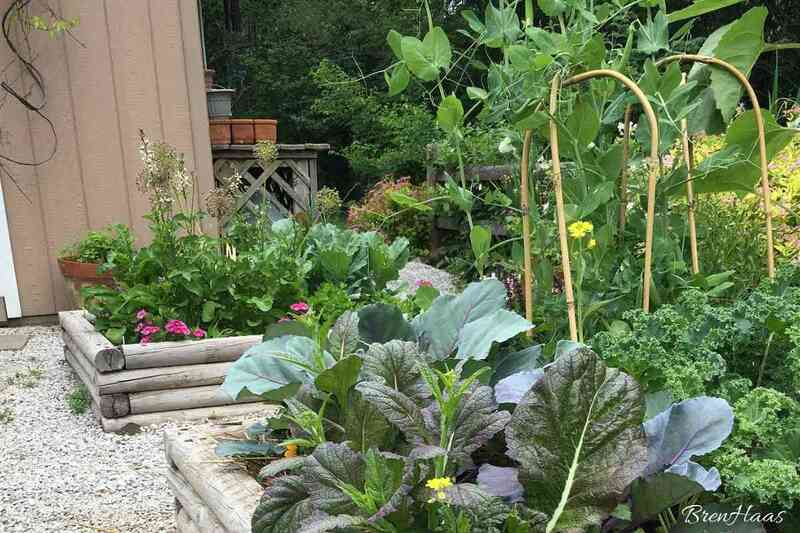 I’d love to hear from you and what you thought of this pea planting project. Be sure to comment on this post or visit my contact page to leave even more details.